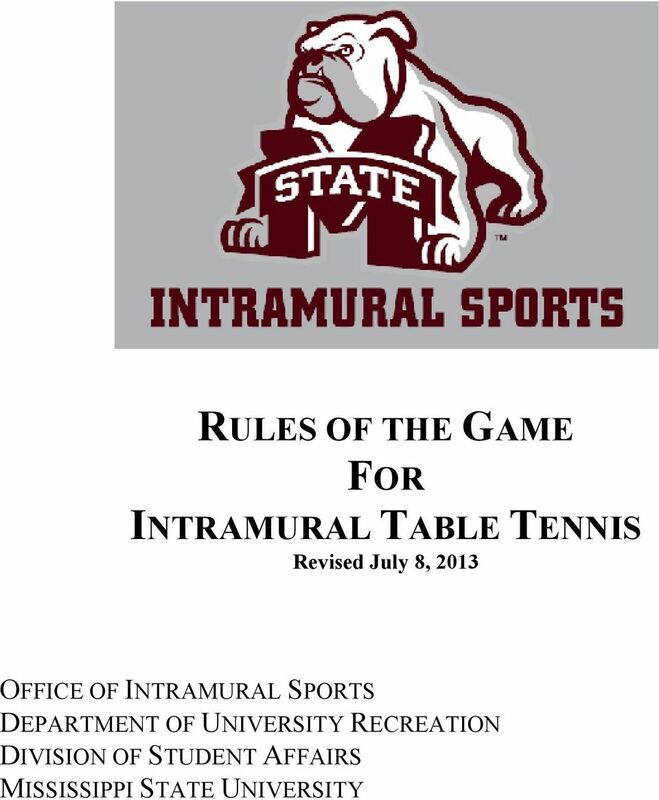 Download "RULES OF THE GAME FOR INTRAMURAL TABLE TENNIS Revised July 8, 2013"
Intramural Sand Volleyball Rules Any rule not specifically covered will be governed in accordance with the USA Volleyball Rules. Modifications have been made to suit Ohio State Recreational Sports programs. 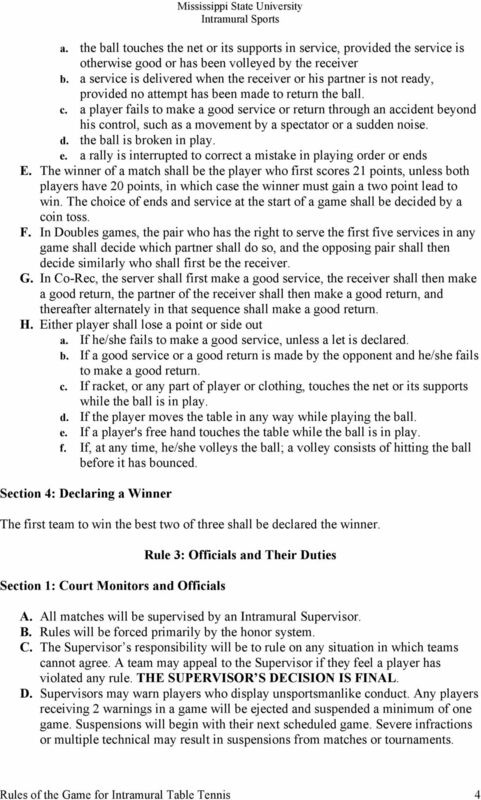 G e o r g e M a s o n U n i v e r s i t y 7 v 7 Ultimate Frisbee League - Rules Each player must present a valid Mason G Card before each contest to be eligible to participate. No ID No Play No Exceptions! 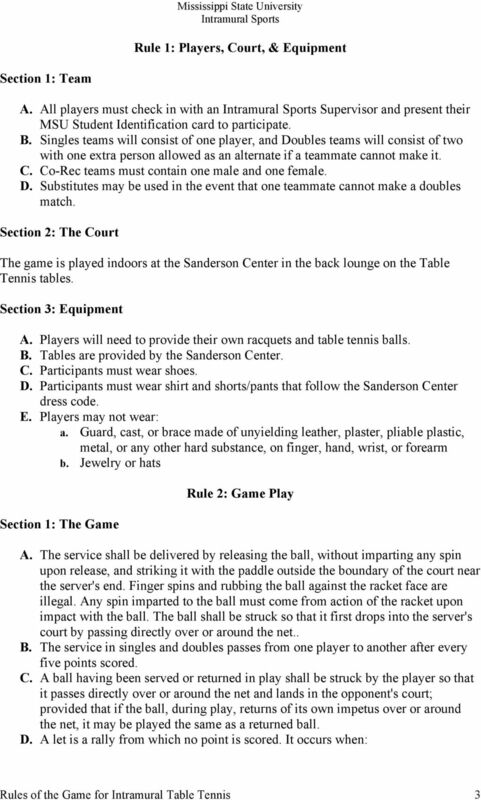 SAND VOLLEYBALL RULES INTRAMURAL SPORTS Each player must meet one of the following conditions to sign-in: 1) Present their own, valid UF Gator 1 Card before each contest to be eligible to participate. 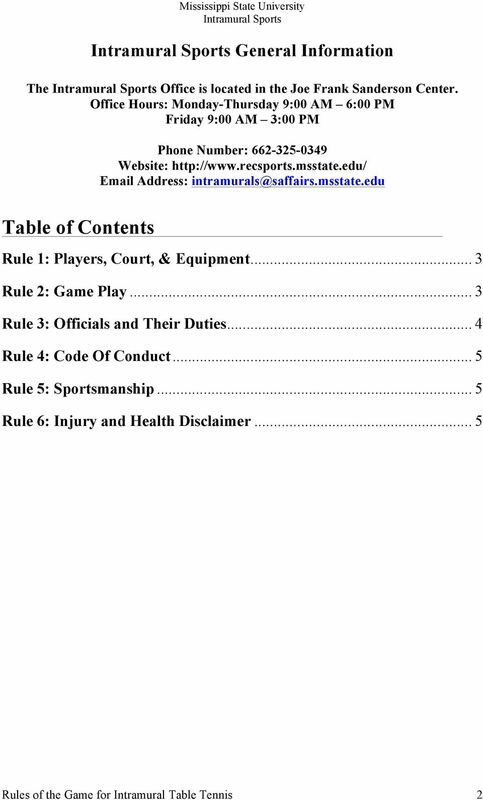 Softball Rules Current ASA softball rules will govern all LU IMS Softball with the following modifications listed below. 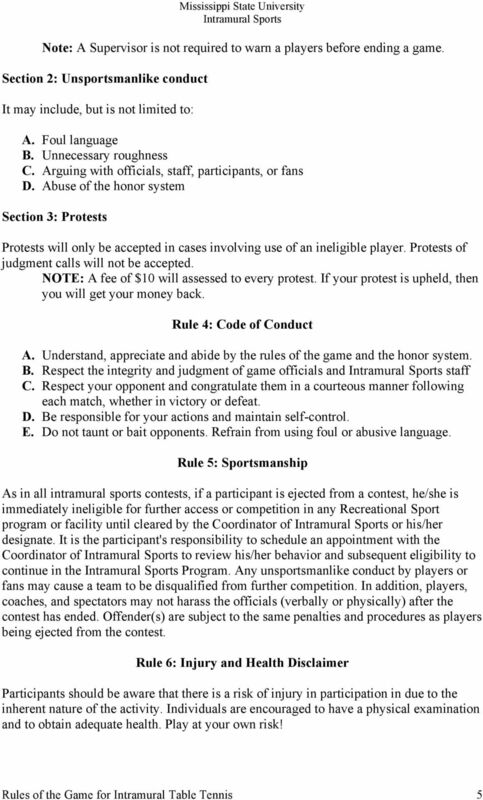 All rules are subject to change at the discretion of the LU IMS Administrative Staff. Table Tennis Rules Table Definition The upper surface of the table, known as the playing surface, shall be rectangular, 2.74m long and 1.525m wide, and shall lie in a horizontal plane 76cm above the floor.